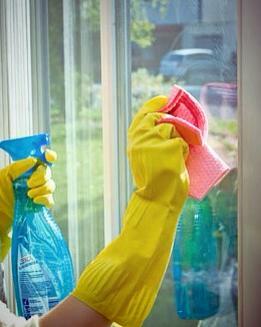 Are you looking for someone to clean your home or office in or around Epping? At United Home Services we provide a range of cleaning services, the most popular being our regular home clean on a weekly, fortnightly or monthly basis in the areas of Mill Park, South Morang, Bundoora, Lalor, Thomastown, Doreen, Craigieburn. & the surrounding suburbs. If you’re in any one of these areas and would like a quotation for the cleaning of your home or office, submit a website enquiry and we’ll be in touch shortly. Hi, I am Grey Zhu and I am your local United Home Services specialist. I offer regular and “one off” cleaning, spring cleaning, vacate and rental inspection cleaning as well as full bond recovery cleaning. I service Epping and the surrounding suburbs of Mill Park, South Morang, Bundoora, Lalor, Thomastown, Doreen and Craigieburn. I have worked with another United Service Services owner/operator before deciding to operate my own business. Occasionally my wife works with me on larger jobs but regardless of the type of work needed my aim is to provide my customers with the highest standard of work, be reliable, and offer a friendly service! Why don’t you complete our online enquiry form Or call 1800 222 899 for a no obligation, free cleaning quote.